Trista McGlamery is the Mission Manager for Susan G. Komen Greater Atlanta where she is responsible for managing $1.6 million in community grants for a 13-county region in Atlanta. She also has 10 years of strategic communications experience. 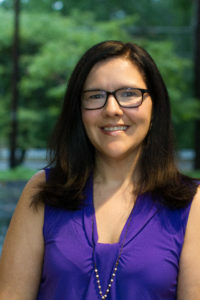 Trista serves on the Cobb County Advisory Board and Public Policy Committee of the United Way of Greater Atlanta, and the Audit Committee of the Sigma Kappa Foundation. She is also a graduate of Leadership Buckhead, United Way VIP Board Training, and the Georgia Women’s Policy Institute. Trista earned a Bachelor of Science in magazine journalism from the S.I. Newhouse School of Public Communications at Syracuse University and an MPA from the University of Georgia.